Do you need a credit limit increase on your Chase credit card, but aren’t sure how to get it? You’re in the right place. There are a couple of ways to get a credit limit increase, and a few essential things to remember during the process. But don’t let an increased limit go to your head — it’s critical to use your credit wisely and not just for a shopping spree. Why do you want a credit limit increase? Are you planning on a large purchase that you would like to put on your card? If so, be sure to tell Chase when requesting your increase. Are you planning on maxing out your new limit with purchases that you really can’t afford without credit? In that instance, your chances of getting a credit increase are slim (and you should consider re-examining how you use credit). Using credit wisely is critical, especially when you’re collecting miles and points. You should pay your bill in full every month, so interest charges don’t offset your rewards. If this is difficult for you, you’re probably not ready a credit limit increase. Bottom Line: No matter what your credit limit or credit score, you should pay your bills on time and in full each month. It’s good to know what your current credit limit is before you request a credit limit increase. You can find your credit limit in your online Chase.com account. Once you log on to your account, click on the credit card you would like to check located on the left-hand side of your screen. You will see your credit card information in the main section of the page once you select your credit card. Look for your current balance and available credit. These 2 numbers combined will give you your total credit limit for that card. Current balance: This is the amount charged since your last statement (but might not include your most recent transactions). Available credit: This is the remaining amount of credit you have left on your card. Your available credit will update when you make a payment. Knowing your credit limit is important and easy to find on your Chase account. In this example, the current balance and available credit add up to $5,000, which is this card’s credit limit. Have you been a customer for at least 6 months? Do you pay off your bill in full and on time every month? Are you using a reasonable amount of your current credit limit, or is it maxed out? (Your credit utilization, meaning the percentage of credit you have that you are using, should be under 30%). If you are a brand-new customer or habitually have late or partial payments, your chances of getting a credit limit increase are slim. Bottom Line: Your account needs to be at least 6 months old and in good standing to request a credit limit increase. The easiest way to increase your Chase credit limit is to open a new credit card. Chase has some of the best points-earning cards available, so as long as you are under “5/24” (5 or fewer cards in the previous 24 months), opening a new card is a great way to increase your overall credit limit with Chase. Once you open your new card, you can often transfer some of the credit from the new card to another card if you would prefer your new credit to be on a different card. The Chase Sapphire Preferred® Card is a solid choice offering many benefits. If you’re approved for this card, the minimum credit limit you can receive is $5,000. The average credit limit on this card is $10,000, and about 10% of cardholders report a credit limit that exceeds $20,000. The Chase Freedom Unlimited Card is a great card to keep in your wallet long term because it has no annual fee. It offers a great way to earn Chase Ultimate Rewards points with 1.5x cash back or points on all purchases. The minimum credit limit available for this card is $500. If you are in the market for a credit limit increase, you will probably need to contact Chase and ask for it directly. Here are a few things to keep in mind before you pick up the phone. Be ready to tell them why you should qualify for a credit limit increase. Factors like being a long-term customer, paying your bill on time, or a recent income increase are all good things to mention when making your request. Know what you want. If your current credit limit is $1,000, don’t ask for a $10,000 limit! You are more likely to get the increase you’re looking for if it a reasonable amount. A good rule of thumb is to ask for a 10%-25% increase. Offer to move credit. If you already have a large amount of credit from Chase, you can often move credit around from one card to another to get an increase on a specific card. If you are opening a new account, offering to take credit from one card to put towards the new one can help get you approved. Be polite. This one is simple, but it still counts. The person on the other end of the line is just doing their job, so it’s never a good idea to be rude if you don’t get what you want. Bottom Line: Each time you request a credit limit increase, the bank will do a hard pull on your credit report, which could result in a small (yet temporary) drop in your credit score. Balance transfers offer a good way to persuade Chase to increase your credit limit. A balance transfer means you’re moving the balance from one credit card to another. It’s usually done to simplify and consolidate debt and to lower your interest rate. Banks love balance transfers because they typically charge a transfer fee and will eventually get to collect interest on any balance that you don’t pay off in full by the time the 0% interest period is over. Chase offers a few cards with 0% APR on balance transfers for an introductory, period plus one card that offers a 60 day grace period on balance transfer fees. Chase, like most other banks, will automatically increase your credit if you are using it responsibly by paying your balance in full and on time. These automatic bumps generally happen every 6-12 months. If you’re patient, you might get a credit limit increase without doing anything! Be aware that even if you’re doing everything right, the automatic increase might not happen. You’ll need to contact Chase to request an increase. Hot Tip: Readers may also want to note that we have a separate article dedicated to Increasing Your American Express Credit Limit. The first thing to do is call Chase back and ask again. 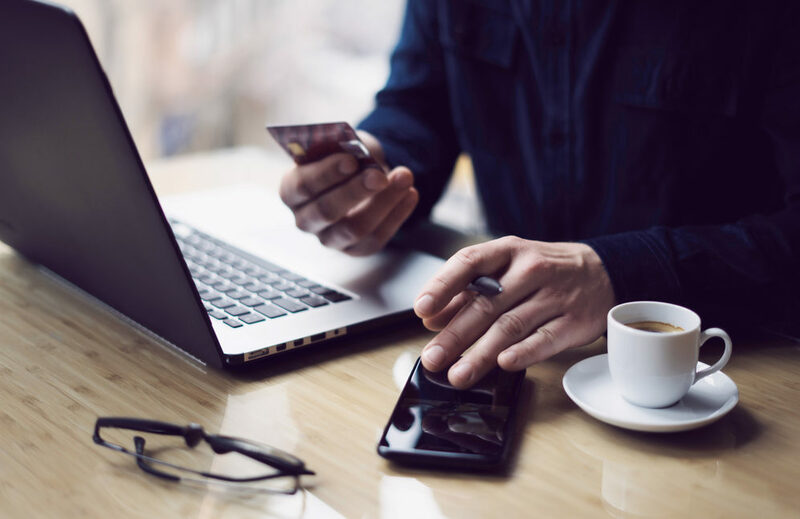 Make your case for why a higher credit limit should be extended (for a large purchase, balance transfer, or higher income), and your request may be approved. If Chase still denies your request, it’s time to look at your credit score and how you use the credit you have. It’s a good idea to know what your credit score is so you can monitor it (and hopefully watch it grow). There are lots of places to check your credit score, and many are free. It’s a good idea to do this periodically to make sure everything is correct and up to date. Here are a few websites to help you understand your credit score and the factors that go into it. Many of these sites allow you to check your score for free. Each one of these sites charges to see your credit report. However, there are ways to get it for free. Every year, all consumers in the U.S. are entitled to receive 1 free credit report from each of the 3 main credit bureaus. To get your free reports, check out annualcreditreport.com. Hot Tip: You can check your credit score for free through Chase CreditJourney, Credit Karma, Credit Sesame, and Quizzle. Chase offers a tool to see your credit score directly from your Chase account. Log in to your Chase account to get started with CreditJourney. At the bottom left-hand side of your homepage, you should find the Your Credit Score. Fill in your email and click the green Continue tab to complete your enrollment. Hot Tip: Checking your credit score on CreditJourney does not result in a hard pull, and it does not impact your score. From here, you will be able to view your current credit score and some basics including late payments and number of accounts opened. CreditJourney is the free credit monitoring tool offered by Chase. Access your information by logging on to your Chase account. You will see your current credit score, basic information about your credit and the score simulator. Once you have adjusted the parameters how you want them, click the green Simulate button at the bottom to see what your score could be. It’s a fun way to see how certain actions (both good and bad) can affect your score. Raising your credit score is a smart way to set yourself up for a credit limit increase and develop good credit habits. There are many legitimate reasons to request a credit limit increase. If you’ve been a Chase customer for at least 6 months and have shown responsibility with your credit, you’re likely to receive the increased limit you want. However, if you tend to only pay minimum balances or make late payments, you are unlikely to get an increase. If that’s the case, work on cleaning up your credit first, then go after the credit limit increase you need. How Often Does Chase Increase My Credit Limit? Chase will often automatically increase your credit limit about every 12 months, but an increase is never guaranteed. Does Chase Pull My Credit When I am Requesting A Credit Limit Increase? Yes, asking for a credit limit increase will result in a hard pull on your credit. This may lead to a slight temporary drop in your credit score. Why Won't Chase Increase My Credit Limit? There are a few reasons why Chase might not increase your credit limit. First, if you have been a customer for 6 months or less, your chances of getting an increase are slim to none. Second, if you have a history of late or partial payments, Chase will not be inclined to extend more credit to you. Once you start using your credit more responsibly (paying your bill in full on time each month), try requesting a credit limit increase again. Would Chase Ever Decrease My Credit Limit? Yes, it can happen. However, if you’re using your credit responsibly and paying your bills in full and on time each and every month, this shouldn’t be a problem. One Of My Chase Credit Cards Has A High Limit That I Never Use. Should I Decrease The Limit? Generally, no, it’s not a good idea to lower your credit limit even if you aren’t using it. Part of your credit score is based off your utilization ratio, meaning the percentage of your available credit that you’re actually using. This number should be lower than 30%. Let’s say you have a $2,000 balance on a card with a $10,000 credit limit. Your utilization ratio would be 20%, which is good. If you drop your credit limit to $7,000, then the same $2,000 balance would give you a utilization close to 30%, which could negatively affect your credit score. Can I Increase My Chase Credit Limit Without A Hard Pull On My Credit? No, if you request a credit limit increase from Chase, there will be a hard pull on your credit. However, if Chase increases your limit automatically (as they periodically might do) there will not be a hard pull on your credit. Can I Increase My Chase Credit Limit With A Soft Pull On My Credit? No, if you request a credit limit increase from Chase, there will be a hard pull on your credit. I have a question to ask… I have several credit card accounts with Chase. I’m getting a new credit card with a lower credit limit.. I am thinking about transferring a little bit of my credit from one of my cards to my new card. Would Chase still do a hard pull on me for transferring the credit limit? If you are just transferring credit from one card to another, you should only get a soft pull on your credit. However, if you are transferring credit to a card that will end up with over $35,000 in credit, a hard pull could result. If you aren’t sure, just ask the Chase representative and they should be able to tell you if the transfer would require a hard pull.